Cafe Tabac, which stands at the top of Bold Street in the city centre has been trading every day since its doors opened in 1974, making it one of Liverpool’s longest standing cafes. Now the team behind it is appealing to the public to help them complete the final part of a refurbishment programme, with their memories. Widely known as ‘Tabac’ – the cafe was opened by enterprising and formidable businesswoman Rita Lawrence, who developed the idea of a European cafe bar with a Bohemian feel, and which quickly became the hub for the creative residents of Liverpool, attracting artists, actors, singers and performers amongst its varied and colourful clientele. Over its forty-plus years, late nights and early mornings have taken its toll and the venue is currently having a much deserved makeover. As part of the works, Tabac are planning to document and preserve the cafe’s history, with the team wanting to chronicle the last four decades, and they are keen to hear from anyone who has any memories of the cafe bar, during the seventies, eighties and nineties – including photographs, or memorabilia that they would be happy to share. Actress Margi Clarke, who starred in the cult smash film ‘Letter to Brezhnev’ recalls the days of pre-mobile phones and hanging out at the Bold Street venue: “Tabac has always enjoyed a great position at the top of the Bold Street hill and it was a microcosm for Liverpool’s creatives. It was also my ‘office’ as it was the only cafe with a public phone. “In the days of no mobiles, Tabac was essential for getting a job, as my agent would telephone the cafe, as they knew I’d be there. 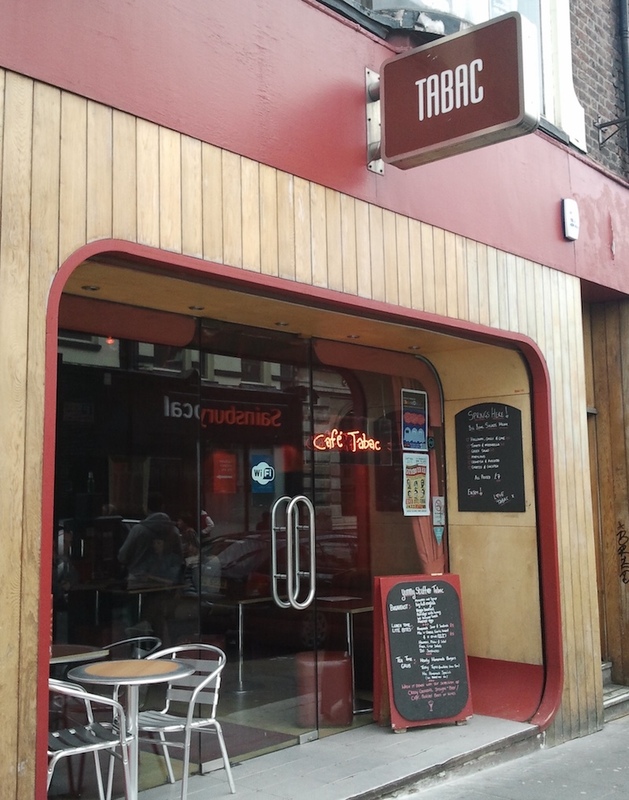 Speaking about the project, Cafe Tabac Brand Manager Laura Harris says: “Cafe Tabac has played a part in so many people’s lives and even though we’ve just launched the appeal for Tabac memories, it’s clear it’s going to be a fascinating project. Anyone who would like to contribute to the Tabac project can email Laura on lauraharris@baabar.co.uk or get in touch via Cafe Tabac’s social media channels.